One of the most effective, and yet biggest challenges, in marketing your products and/or services to your customers can be developing a strong partner channel. For many businesses, channel marketing is an inexact science that doesn’t always provide sufficient ROI. The challenge of creating effective channel marketing programs is creating effective tools and resources for your channel partners, and understanding the impact of those efforts. On July 30, 2014, the Mass Technology Council (MassTLC) will host a sales & marketing seminar on how to address these issues, deliver results, and improve your overall channel marketing ROI. There are a number of trends in the marketplace that create new opportunities and challenges from a channel marketing perspective. There are a proliferation of new marketing automation tools and with that, an increase in “channel marketing platforms”. As companies work through an evolution in their own digital marketing strategies; they are trying to find new ways to leverage cloud, mobile, social, and analytic solutions in their channel marketing programs. This all creates new opportunities to find innovative ways to market to and through your channel partners. Scott Barlow, Vice President of Global Sales & Marketing, Reflexion Networks, Inc.
To register, please visit the Sales & Marketing Seminar: Channel Marketing ROI site. Please join for this interactive discussion. MassTLC is a technology association and network of tech industry leaders focused on accelerating innovation through active communities and events to support workforce development. With a membership of over 550 companies, MassTLC provides industry-leading content and a visible platform for companies and individuals looking to influence and grow their technology businesses. Pereion Solutions provides channel development services to technology companies. To discuss this event or your specific channel marketing challenges, please contact us directly at slperry@pereion.com. Determining the improvements you need to make to your channel partner program to drive revenue growth isn’t easy. There are two key drivers that will help you plan a new or refreshed partner program design: Channel Readiness and Partner Value. Any channel program needs to deliver real partner value, and you need to understand how it differs from what your competitors offer. This is the basis for designing any partner program. Channel readiness is the other key driver. It’s about assessing the key elements of your partner program, and ensuring it provides your partners with what they need to be successful. 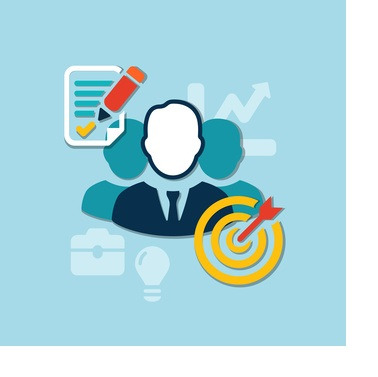 Business Goals & Channel Objectives: Do you have clearly defined goals and objectives for your partner program, such as revenue volumes, number of new customers, number of trained partners, and product volumes? Partner Role & Profile: Have you clearly defined your partners’ role in the sales cycle? What defines your ideal partner and do they have the proper skill sets for your sales process? Capacity Planning: Do you have a clear view of the number of channel partners, technical specialists, and sales partners to achieve your objectives? Partner Value: Can you clearly articulate the value prop of your channel program? Have you tested it? Partner Recruitment: Do you have a marketing plan to market your channel programs to your ideal partner prospects? Economic Model: Have you validated the economic model for your partners and channel sales reps? Product Access & Skills: Do you have product access and affordable training and certifications programs in place? Marketing Support: Does your channel marketing plan support the latest digital marketing approaches? Do you offer a channel marketing concierge service? Sales Support: Does your program provide access to technical sales resources to accelerate sales cycle times? Program Structure & Tools: Do you provide easy access for the channel sellers including support through mobile devices? Management System: Do you provide dashboards and reporting tools so your partners are able to easily manage the various elements of your relationship? Do you have a clear view on the differentiated partner value your channel program needs to deliver? Are all the elements of your partner program in place, so your channel is ready to deliver? Has your channel program evolves over time, it is important to step back and ask these questions. Please share this blog using the social media icons above and subscribe to the Pereion blog and Channel Development LinkedIn showcase below. It's not uncommon when trying to figure out how to grow channel sales to focus on why partners are underperforming versus addressing how to create more partner value. Firms that focus on the long term view and truly look to help their channel partners grow, will be rewarded versus those that think they just need to "fix" what their partners are doing wrong. Take a step back and ask yourself: Is our partner program designed to create partner value? Or just sell more stuff this quarter? Selling more stuff this quarter is good, but your partner program will perform much better if it addresses both questions. So what are some levers to pull to create more partner value? Net Margin: OK, so this is the easy one to identify and it's critically important, but it's not the only item. This is just the ante to play the game and it needs to be right, otherwise you won't get the opportunity to address some of the other items. Growth Opportunities: Identifying growth opportunities is good and helpful, but you really need to be enabling your partners for new growth areas. It's one thing to say "cloud" or "big data" are going to be big; it's another to truly help your partners build solutions and practices in high growth areas. Expense Reduction: Providing high value add services that truly reduce costs for your partners and minimizing operational costs just to participate in your program can be good opportunities to create partner value. Skill Development: Readily accessible, low cost education and skill development programs provide high value to your partners. Don't limit this to formal education programs either. Simple, easy access skill development tools can have greater value. This should encompass sales, marketing, and technical support. Marketing Support: Lead generation is a challenge for everyone. Easy to execute campaigns with high quality content combined with insight on segmentation and customer profiles can provide great value to your partners. Sales Support: You can certainly take the view here that partners should operate independently and be able to sell the product. That said, the firms I see with strong sales support to really help partners close deals and address objections win in the long term. So there are a half dozen areas you're able to address to improve your partner value and increase your channel sales. There are many more potential ways to create partner value. Companies that find ways to innovate and create differentiated partner value definitely win the channel competition in the long term. Are you asking yourself the harder questions about creating partner value? Or are you just looking for a short term fix? If you would like to discuss approaches to create more parter value and grow your indirect channel business, please comment below or contact Steve Perry directly at slperry@pereion.com. Also, please feel free to share this blog using the social media icons above, and subscribe to the Pereion blog below. We are all very familiar with the idea of hotels providing their guests a concierge service to help plan and improve the quality of their stay. Hotel guests are often not familiar with the city they are staying in, or the hotel just may want to improve the overall guest experience to build customer loyalty; a hotel concierge desk can provide that value. This simple concept applies perfectly to channel marketing. So why not provide your channel partners with a marketing concierge service to help them develop their marketing plans? Many IT technology solution providers or channel partners are not experts in marketing. Their core skills are usually in specific technology solutions. If you can “upgrade” their marketing experience with your products, you and your partner can generate more leads. In addition, you will create a new level of partner loyalty to sell your products or services. Pereion Solutions can help you understand the costs and where the real value is for your partners, by taking a prescriptive approach to evaluate how these services will truly increase lead generation for you and your partners. If you have any questions, please send an email to Steve Perry at slperry@pereion.com. Please also share this blog using the social media icons above. You can also subscribe to the Pereion blog below to receive additional tips on improving your channel marketing plans. What is a Channel Readiness Assessment? A Channel Readiness Assessment is a methodical approach to evaluate if your partner sales channel is truly ready and enabled to deliver the goals and objectives that you have established. When should you use this approach? The Channel Readiness Assessment eBook is a structured guide that walks you through the key elements of your channel program to identify where you may have “readiness” gaps that are inhibiting, or could inhibit, your channel’s sales performance. The eBook provides you with the tools to ask questions and think through that end-to-end process in each of the areas below. Hopefully you find this eBook useful and use it to assess and analyze your partner sales channel. We would love to get your feedback, so if you’d like to discuss your own channel readiness challenges, or some partner sales channel best practices, please let us know. We welcome the opportunity to speak with you. Please also share this blog using the social media icons above. You can also subscribe to the Pereion blog below to receive additional tips on improving your channel program performance. This past week I had the opportunity to attend a Mass TLC seminar where Advocacy Marketing was discussed. It was a good session and the focus of the seminar was on customer advocacy marketing. It is interesting to consider how to apply advocacy marketing principles to channel marketing and integrate Partner Advocacy marketing into a partner program. While advocacy marketing is not new, it is increasingly important and there are signicant opportunities to leverage social media, mobile, and other technologies to take advocacy marketing to a new level. Advocacy marketing can encompass a wide range of approaches from traditional customer references and case studies to finding innovative new ways to engage your customers and encourage or reward them for being digital champions. For me the interesting question is how to apply advocacy marketing to channel marketing. The most obvious scenario is leveraging your channel partners as advocates for your products and applying newer advocacy marketing techniques to your partners. If you market and sell your products through channel partners then you also need to involve those partners in developing and fostering customer advocates. Can you extend the principles of advocacy marketing through your channel partners by enabling and rewarding them for creating customer advocates? In addition, one of the most valuable ways to reward your partners is to become advocates for your best partners. Again, there are some good techniques that have been around for along time to recognize partners; such as partner recognition awards or events. But many of your partners may be challenged to create a broader social advocacy program. How do you leverage your own organization to create an online or social advocacy for your top channel partners? This can be a differentiator for your channel program and a lever to improve your partner value proposition, especially if you can leverage social media tools to create a multiplier advocacy effect out through your partner channel. Advocacy marketing can also help you and your partners generate more leads. Thanks to Mass TLC, SiriusDecision, Acquia, Influitive, and Rapid7 for putting together the Customer Advocacy Marketing session this past week, it was a good session. If you are interested in discussing how to apply Advocacy Marketing to your channel marketing program, please contact Pereion Solutions by sending an email to Steve Perry at slperry@pereion.com. 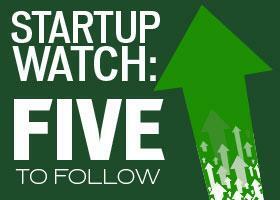 Pereion Solutions Named One of 5 Startups to Watch....Now Hiring! Pereion Solutions was named as one of 5 Startups to Watch in Mass High Tech and the Boston Business Journal in January. This month we are hiring! It is nice to be recognized as a startup to follow, here is a link to the article. However, it is more important to us that clients are now recognizing the value we can provide. We help Information Technology companies grow sales through Channel Development and by providing Inbound Marketing services that grow lead volumes. Increasingly, we are seeing tremendous synergy between these capabilities. If you follow this link you will be directed to the job posting on our website, which includes the required skills and experiences plus directions on how to apply. Pereion Solutions provides an entrepreneurial environment with the opportunity to be part of a thought leader in the evolution of Inbound and Channel Marketing. We look forward to hearing from you! There are many different types of channel programs and partner recruitment initiatives can go in many directions. That said, there are some fundamental principles that will help ensure the success of your partner recruitment efforts. Having the right partners and the right number of partners is critical to your overall channel strategy and creating successful partner programs. It is important to start with the end in mind. Build a simple channel capacity model, that will allow you to have a view of not just how many partners you need but how many partners you need in various partner segments. For example, you may need to slice your channel capacity model by region, by industry, by skill set, or by partner model. It may be appropriate to phase your partner recruitment efforts, either by starting with a pilot project or just building a phased approach. In either case, your goals and objectives need to reflect the approach. You also need to consider the phases of onboarding a partner at this early stage. How are you going to move them from interest to commitment? Think about partner recruitment, like you think about customer demand generation. How many partners do you need at the "top of the funnel" to get the required number of truly committed partners? The critical point here is that you start with a plan and execute against that plan. Do you need them to sell to their install base? Do they have access to the key decision makers? Is their business model aligned (e.g. service delivery versus product)? Working through these questions, will make it much easier for you to target the right partners and ensure they will be successful once they are on board. Build your list of questions and commit the answers to paper, from that you can create a partner profile that truly aligns with your channel requirements. Once you have a clear view of your goals and the profile of a prospective partner, it is time to build and test your partner value proposition. Start with your partner profile and think through what will motivate them. Again, let's frame some questions to think through our partner value proposition and see if it is compelling and differentiated. What drives the economic model of your ideal partner? Will your product or offering help them grow? Do you help them expand their customer base? What is the barrier to entry? Have you addressed their pain points? Thinking through some of these questions, will help you not just recruit partners but ensure that you get partners that truly will invest your products or offerings. It is important to test this with partners early in the cycle, get their feedback on the value you are offering and how it compares with other opportunities they see in the marketplace. You will save yourself a lot of time and wasted energy if you get this right up front. If you walk through these three factors and feel you have these issues addressed, you should have a good foundation to begin your partner recruitment efforts. Hopefully, this helps you build your partner recruitment plan and gives you one or two nuggets to consider. If you need help in building or executing your partner recruitment plan, please reach out to us at Pereion Solutions. Pereion provides Channel Marketing services to help you grow your revenue through indirect sales channels. Please click the link below to discuss your Partner Recruitment requirements and also subscribe to future blog articles by providing your email address in the left hand column. Thank you. You need to start with the basics, many of your partners may not find spending time on Social Media is personally valueable and SEO may not seem relevant. Many technology solution providers have minimal marketing staff, so helping them understand the landscape and what it means to leverage Social Media and SEO in a marketing plan needs to be the first step. Helping them with some simple webinars or education material will go a long way, you need to lay out a roadmap that they can follow. As your partners begin to develop an "inbound" marketing plan, they will need enablement help to make this transition. First, it is critical to understand that to be effective with this type of marketing model, content is king! Your partners will need help with content in several areas: blog content, social media content, and content for offers off their websites. Many technology vendors have significant volumes of content that they make available to their partners through their partner portals. That is good, but not sufficient to really enable your partners to make this transition. Technology providers need to think about how to provide aggregated content for blog creation and social media. In particular, blogging can be very time consuming; there is opportunity to make this easier for your partners. The other area partners need additional enablement support is in providing customizable content that they can easily repurpose and make availbable to their prospects, this content should be mapped to the buying cycle. By actively interacting with your partners through social media, you facilitate their efforts to raise awareness of their unique capabilities. Use your sales and marketing teams to link with your partners through social media, subscribe to your partners blogs, and link to your partners websites. It should start with your channel marketing and coverage teams, but shouldn't stop there. You can proactively help your partners as they embrace social media and SEO, gaining critical mass will help them expand their audience and move to lead creation and revenue generation faster. Many MDF and marketing coop programs still have not embraced inbound marketing approaches. Specifically earmarking dollars for social media and SEO will help shift your channel marketing plans and make them more effective in lead creation for you and your partners. There are specific items where comarketing dollars can help, such as: content development, blogging resources, offers and events linked to inbound marketing tactics, and inbound marketing agency support. Is your channel marketing plan explicit in what funding support is available? There is not a single answer on how to best support your channel partners and exactily what elements you should include in your channel marketing mix. That said, if you think through these simple steps and begin to address these elements, you will begin the journey of helping your partners make this transition. Most importantly, you can evolve your channel marketing plan to make you and your partners more effective marketers creating more leads and generating more revenue. We welcome the opportunity to speak with you regarding your specific Channel Marketing plan and how to incorporate Social Media and SEO. Please click on the link below to request an Inbound Channel Marketing consult. Also, please subscribe to the Pereion Solutions blog by providing your email to the left. Thank you.